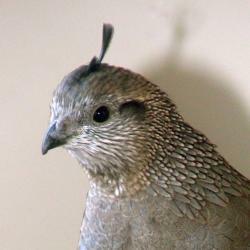 This picture shows Queezle, a quail who lived with us for a year. She because our friend (not dinner), but eventually a wild male courted her through the window, and so she returned to the wild. Queezle Sister changed her profile picture.